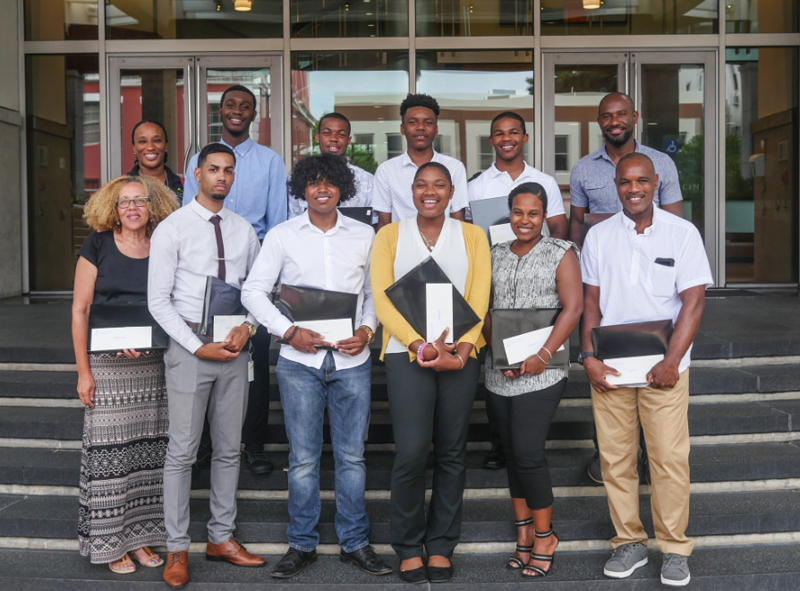 The PHC Foundation held its eleventh Annual Scholarship Awards Presentation at XL Catlin Bermuda Ltd. on July 20, 2018. In total, $45,000 was awarded to twelve young men and women to assist with their studies at high school, college and university level. The PHC Foundation has awarded over $250,000 since it was founded in 2005. Guest speaker, Mr. Shaquille Trott, a former PHC Foundation scholarship recipient and current PHC player, provided the awardees with sound advice on navigating their way through college and university life. The winners of this year’s scholarship are Ms. Sideya Dill, Ms. China Nesbit, Ms. Taznae Fubler, Mr. DeAun Lodge, Mr. Omari Tucker, Mr. Alex Dowling, Mr. Eusebio King-Mills, Mr. Keishon Bean, Mr. Arriek Douglas, Mr. Nazari Woods, Mr. Jalun Hassell and Mr. Jayden Ebbin. The awards presentation was attended by PHC Foundation donors, family, friends and guests who celebrated the positive accomplishments of the awardees. To the PHC Foundation Board and its members, thank you for your continued support and investment into our people and our Island’s future. To the recipients, congratulations. This is another step up and onwards towards your goals.